The Land of the Misplaced Apostrophe's: The final word in apostrophes. Or at least the fiercest. 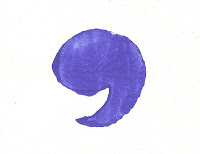 The final word in apostrophes. Or at least the fiercest. Subtlety was never my strong suit, but neither was in-your-face confrontation. Which makes this compendium of rules and examples of apostrophe usage like Turkish delight to my soul. Careful, kiddos...not for the faint of heart, nor for you old-fashioned 1800s schoolmarms, either. Just tells it like it t-i-is...with f-bombs galore! Oh, how you do go on!